Yammer is considered a business solution because of all the tools that are available for managing work and the relationships you develop at work. One way that you can make your work life easier is by managing your files. And Yammer has just the place to do this. To access your Yammer files, simply log into your Yammer account. From the Home screen, click on the More button and choose Files from the drop-down menu. Yammer opens a page that gives you multiple tools for managing your files. For example, you can check Recently Accessed files if you are looking for a quick way to find files with which you are currently working. If you need to upload a file, simply click on the green Upload File button and choose the file you’d like to share. All Files shows you all public files that have been uploaded by anyone in your network. Official Files enables you to see read-only files, but, as the name implies, only lets you view the file without the option for editing. Recently Accessed files lets you see up-to-date files that are for current projects. 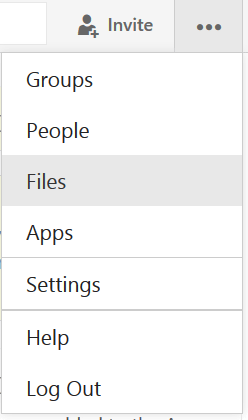 The Following file tab shows you files you have chosen to “follow” or files that you have chosen to see regular updates about. Updated by Me offers up only the files that you have personally made changes to. The Emailed to Me tab enables you to find a file that was emailed to you. 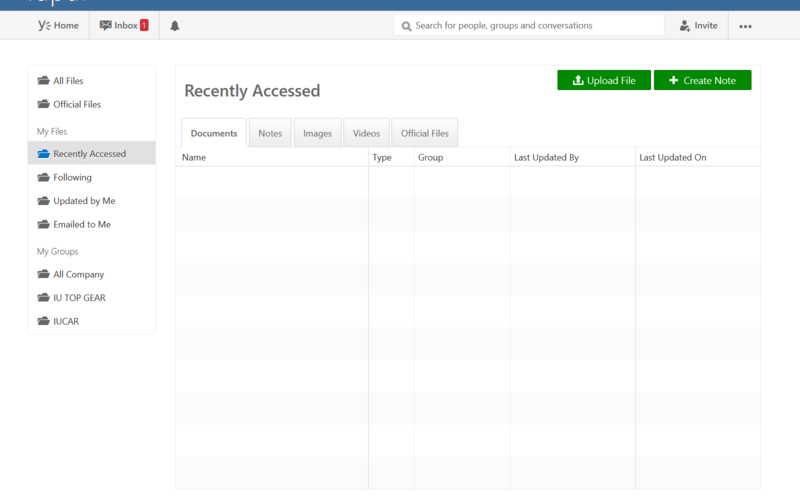 Under My Groups, you can choose one of the Groups you belong to if you need access to files that were uploaded only for members. Doesn’t this seem like an efficient way to access and manage your files? Instead of looking through email, trying to remember what you named a project doc, or searching through the tons of files on your computer, Yammer gives you this one stop shop to make your work easy to find.